Metal music lovers are in heaven right now because a tour was just announced that has sent shockwaves through the metal community. 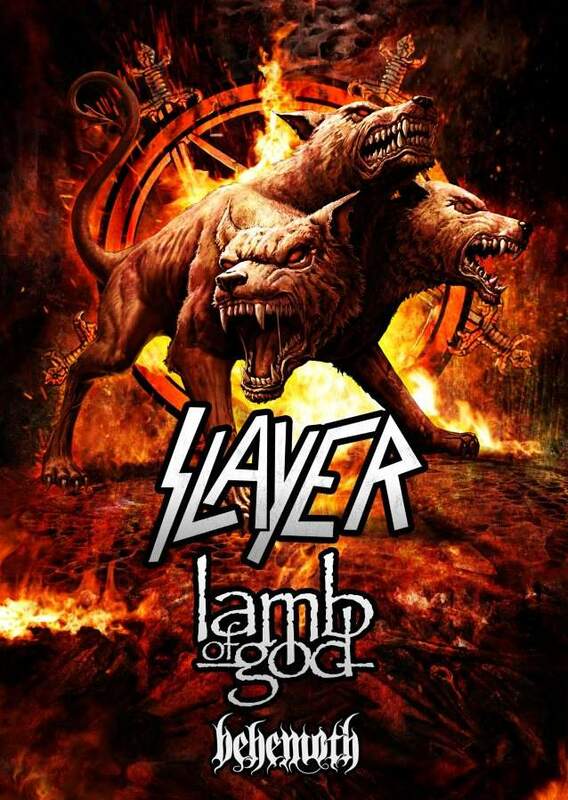 SLAYER will be on tour this year with both Lamb Of God and Behemoth. Just saying that gives me good chills. So far about six weeks of concerts have been planned out, which comes out to about 25 appearances or performances, and that includes a few metal music festivals. Check out our SLAYER Tour Page for the latest list of Official Slayer Tour Dates, find links to look for tickets, and some cool SLAYER videos. SLAYER has just announced their 2017 tour plans with Lamb Of God and Behemoth. Do NOT miss this awesome metal tour! Hate Ticket Scalpers? So Does IRON MAIDEN and the metal band is fighting back!